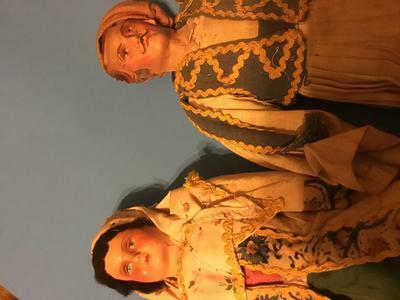 I picked up these two dolls at an auction recently. 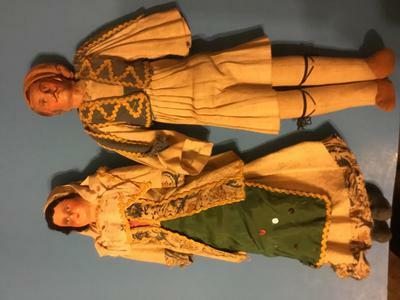 The body of each was sewn by machine as well as their costume. The faces look manufactured and hand painted. 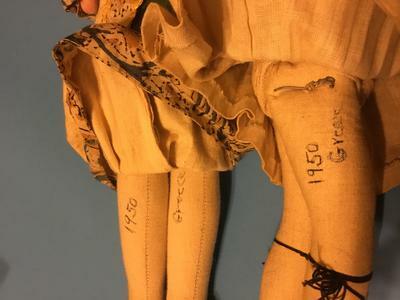 The only markings of identification are Greece 1950 on the legs of each doll.